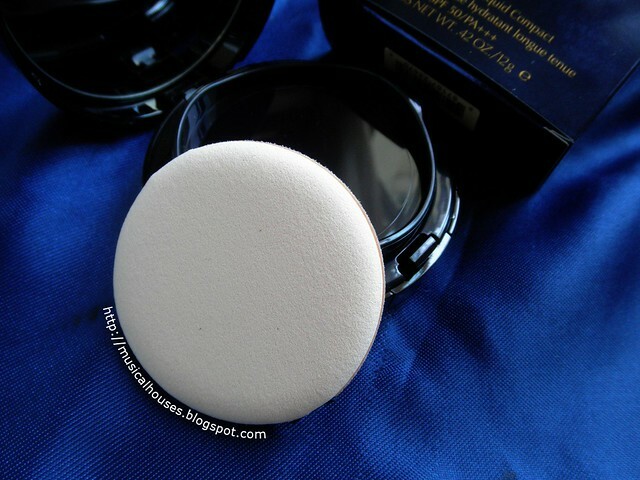 Estee Lauder's cushion compact is finally here, in the form of its Double Wear Cushion BB SPF50 PA+++! 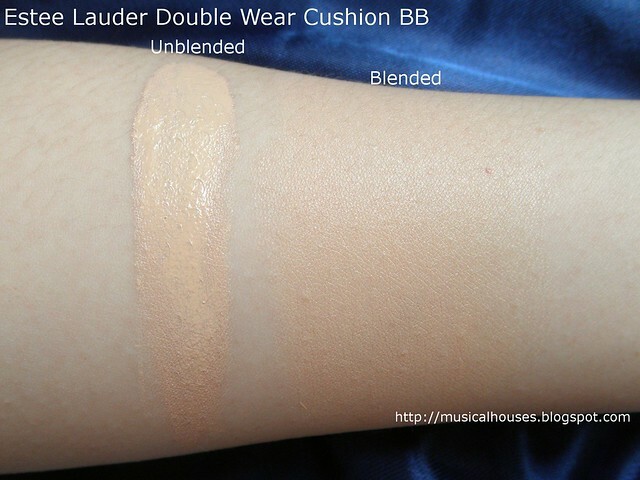 Obviously BB cushions have been pretty popular this season, and more than one brand has come out with their own cushion foundation, but the Estee Lauder one seems to be pretty popular because of the Double Wear name. If you've been a beauty addict for awhile, then you'll probably know that the Double Wear Foundation is one of Estee Lauder's iconic products, so that's why the product comes with high hopes. Even when I was a newbie beauty addict many years back, it was already being recommended as one of THE foundations to try for super high coverage. I remember someone on some of the makeup sites I hung out online even went to ask one of those ladies who swims underwater with dolphins what foundation she was using (theory being that if it works for them it should work for anyone), and it turns out she was using Double Wear Foundation. So yes it is a pretty famous foundation! 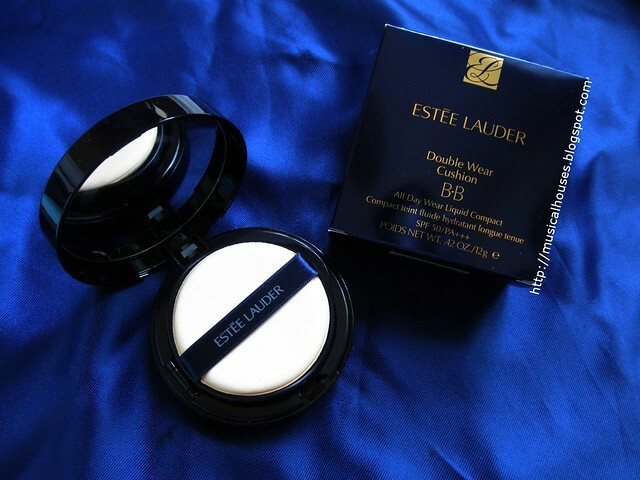 Estee Lauder Double Wear Cushion BB: I've gotten a lot of interest in this, so it's really time for a review! 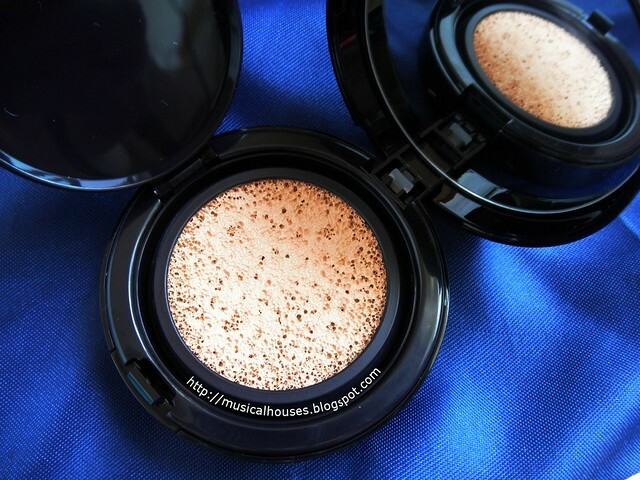 when I posted photos of the Double Wear Cushion BB on Instagram, I had quite a bit of interest in it, so I figured I should get around to reviewing it! Unfortunately, I've never actually tried the Double Wear Foundation, so I can't compare the two directly, and this will be a standalone review for the Cushion BB. And, as always, we'll start at the ingredients list! 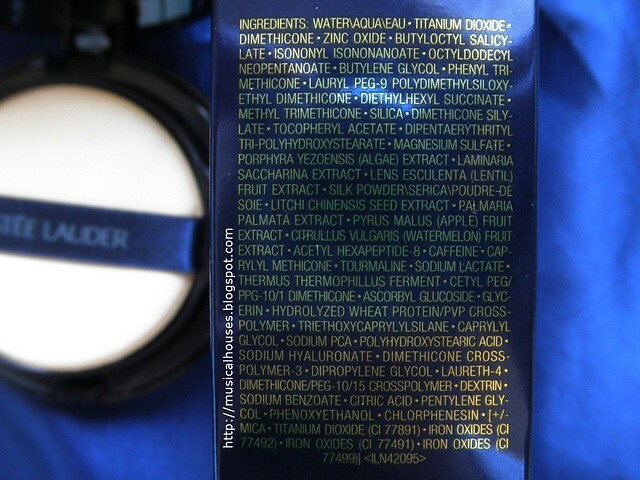 The ingredients in the Estee Lauder Cushion BB include water, UV filters (Titanium Dioxide, Zinc Oxide), silicones (Dimethicone, Phenyl Trimethicone), emollients (Butyloctyl Salicylate, Octyldodecyl Neopentanoate, Isononyl Isononanoate). Quite a number of these emollients do double duty; for example Butyloctyl Salicylate is also used as a carrier for sunscreen filters, and Octyldodecyl Neopentanoate is often included to boost sun protection in a product. There are also humectants (Butylene Glycol), emulsifiers (Lauryl PEG-9 Polydimethylsiloxyethyl Dimethicone), some functional ingredients that function as thickeners, and also give the product a better finish and some water-resistance (Silica Dimethicone Silylate, Dipentaerythrityl Tri-Polyhydroxystearate, Magnesium Sulfate), and Vitamine E (Tocopheryl Acetate). These are the main ingredients that give the Cushion BB its main traits as makeup, and we can see that this is formulated to be a nice cushion foundation - there are silicones and polymers that give the product a nice finish as well as some level of waterproofing, which are useful for a long-wearing product. I also liked that the two UV filters are both physical filters that are stable and will not degrade over time, and will also provide the full spectrum of UVA and UVB protection. Of course, I wouldn't recommend just using your BB cushion as your only UV protection, but if you're running out the door and need to get ready quickly, this is certainly better than nothing. In smaller amounts are the rest of the ingredients, which include a variety of extracts, ferments and powders for those who like this sort of thing (Algae Extract, Laminaria Saccharina Extract, Lentil Fruit Extract, Litchi Chinensis Seed Extract, Palmaria Palmata Extract, Apple Fruit Extract, Watermelon Fruit Extract, Silk Powder, Thermus Thermophillus Ferment), as well as a couple of very interesting ingredients with some potential skincare benefitss - Acetyl Hexapeptide-8, which is supposed to aid in combating wrinkles as a muscle relaxant, although the science is tentative, and Caffeine, which has some anti-oxidant and anti-inflammatory benefits, and Ascorbyl Glucoside, a derivative of Vitamin C. And there's also Tourmaline (or Jade, for my Asian readers), although I'm not too sure what benefit it's supposed to provide. There are also various other humectants (Glycerin, Sodium Hyaluronate, Sodium PCA, Dipropylene Glycol, Caprlyl Glycol, Pentylene Glycol), as well as functional ingredients like emulsifiers (Laureth-4), polymers and silicones (Cetyl PEG/PPG 10/1 Dimethicone, Hydrolyzed Wheat Protein/PVP Crosspolymer, Caprylyl Methicone, Triethoxycaprylylsilane, Dimethicone Crosspolymer-3, Dimethicone/PEG-10/15 Crosspolymer), and preservatives and pH adjusters (Phenoxyethanol, Sodium Benzoate, Citric Acid, Chlorphenesin). There's also Mica and some pigments (Titanium Dioxide, Iron Oxides), which give the product both its colour and finish. I don't generally expect my makeup to have skincare benefits, and in any case these extracts are likely there in pretty small amounts, so for me, the presence of the plant extracts and skincare ingredients is more of a bonus than a must-have. I imagine that for some consumers this would probably be more of a determining factor, so if that's you, then this product will really be up your alley. But, looking at the formula of the product, the formulation looks promising, with a mix of ingredients like silicones and polymers to give the product a nice finish on skin, and be long-wearing at the same time. And that's the most important thing in a makeup product, right? So, after we've spent some time dissecting the ingredients, how does the Estee Lauder Double Wear Cushion fare when we put it to the test? We'll find out! The shade I have is Bone 1W1 - which means it's a light warm shade. Sounds about right! As you can guess, the W in the shade name stands for Warm (N is for neutral shades and C for cool), and the first 1 indicates that this is a lighter shade (the number increases as the shade gets darker). 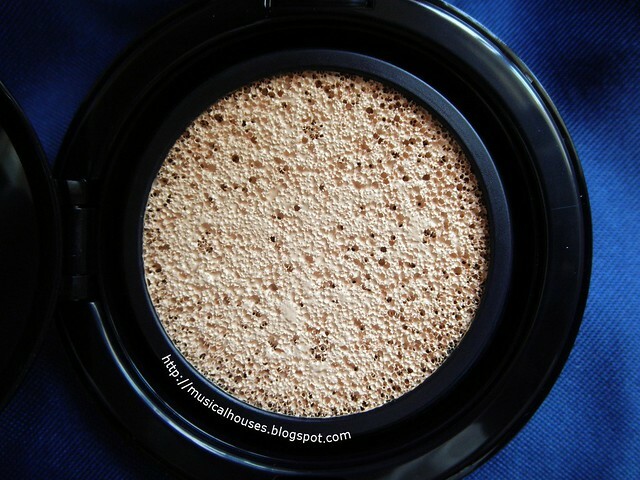 The foundation has a standard BB cushion rubycell puff, which you apply with a tapping (rather than a swiping) motion. It seems a little bit stiffer than the softer rubycell puffs of some of the Korean brands I was familiar with, which I take it as a good thing because hopefully the puff will last a little bit longer! Either way the slight difference didn't impact either the application or finish. Above, a closeup of the cushion, and below, swatches. As you can see, Bone 1W1 isn't quite the right shade on my slightly-lighter-than-NC20 skin, but when blended out doesn't look too bad. The pigmentation and coverage, as you can tell, is really excellent, and even the blended out swatch covers really well. This definitely has one of the highest coverage in a BB cushion that I've seen so far - I would go as far as to say it's more of a foundation in a BB cushion form, and is not at all like some of the super-sheer, super-shiny BB cushions I have. 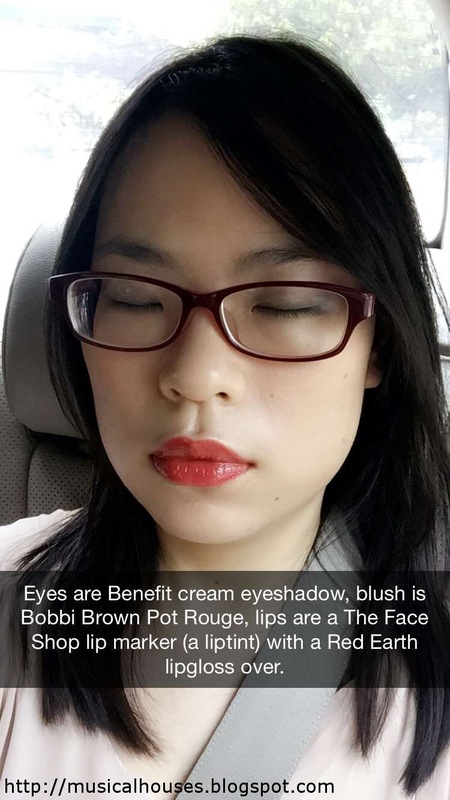 I also like the finish of the Estee Lauder Cushion BB. It's mostly matte, but not flat, owing to the slight bit of Mica we saw in the ingredients list. It has a pretty nice skin-like finish that does have a bit of reflective property, but isn't overly shimmery or shiny. Below, I've angled the swatches so you can see how the foundation reflects the light. 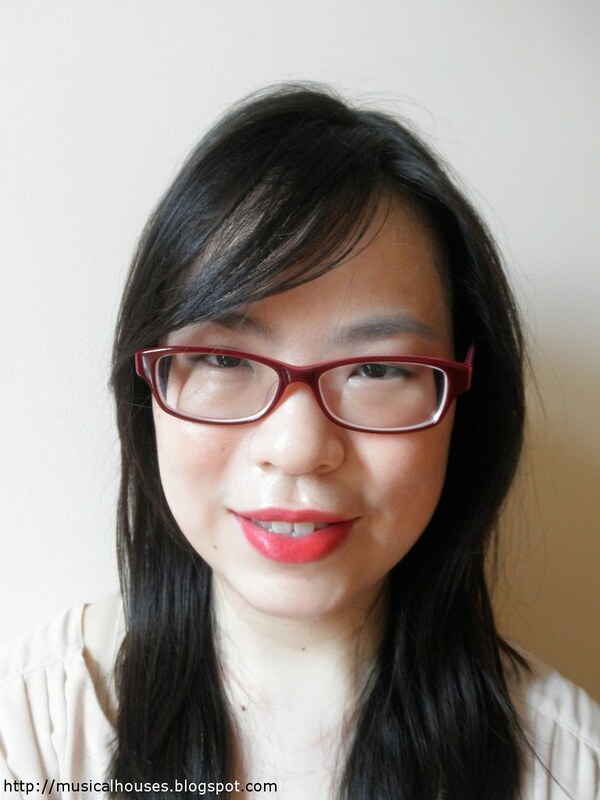 On me the Estee Lauder Cushion BB pretty lasted for as long as I wore it, which was impressive, especially considering that I was running around doing all the normal Singaporean things that day - like eating lunch in a hawker center with no air-conditioning! I wore it out for about half a (very hot) day, and it did fade somewhat in coverage and looked more shiny towards the end of the day, but otherwise, I don't really have any complaints, especially considering that I was really doing a lot of sweating that day. 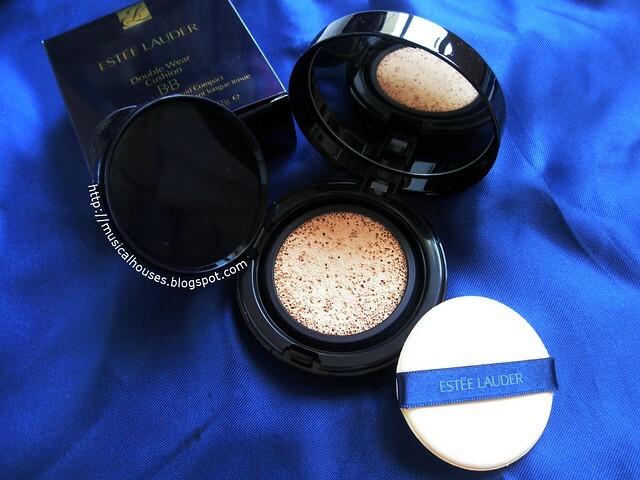 So, would I recommend the Estee Lauder Double Wear Cushion BB? Yes! I really like this and want to keep using it. It's got a lot of things going for it - excellent coverage, good lasting power, and as a bonus, stable sun protection and some skincare ingredients too. Because it's also more matte in finish than a typical BB cushion, it might appeal to those who have combination or oilier skins, and people who are looking for a cushion that doesn't look too shiny. At S$68 for a case and refill it's perhaps not exactly aimed at those who are on a budget, but it's not the most expensive high-end cushion there either, so if you can get a good shade match, I think this is worth trying. 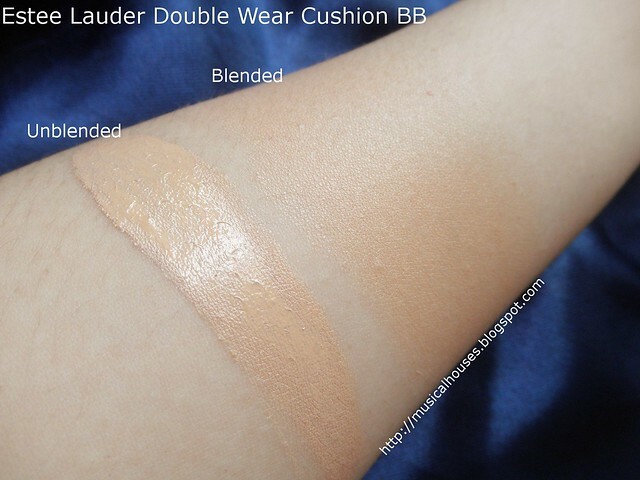 The Bottom Line: Estee Lauder's Double Wear Cushion BB provides great coverage, good weartime, stable sun protection, and has some skincare ingredients as an extra benefit. Love that you break down the ingredients for us - great review! Fabulous review. I think I'll investigate this. I've never worn a Double Wear product because I have dry skin, so the wear time of my foundation has never been an issue. But I'm thinking of replacing my Guerlain Lingerie de Peau because the glass bottle is a pain when I travel. Thank you for the great review as usual! Could you please compare this cushion versus Sulwhasoo's? @Jennifer: Unfortunately I don't have the Sulwhasoo cushion to compare it to, do that might be difficult, although if I ever get the cushion I will definitely consider a comparison post! But I hope this review was useful as a standalone review! It was a terrific standalone review. Thank you for everything that you do. I love your reviews! I love the look of how flawless it is in your last picture! If the price isn't so expensive I would give it a go :) I have used plenty of Korean cushion BB which does similar things and looks as flawless as this, but just because it's a double wear, I'm curious of how well it will perform. Thanks for the review, this BB cushion looks like has good coverage. 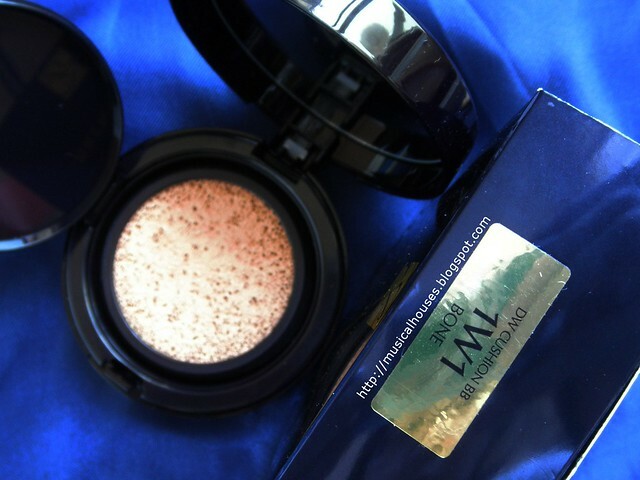 I find my Lacome Miracle cushion doesn't have of much coverage. I would love to give this a try.